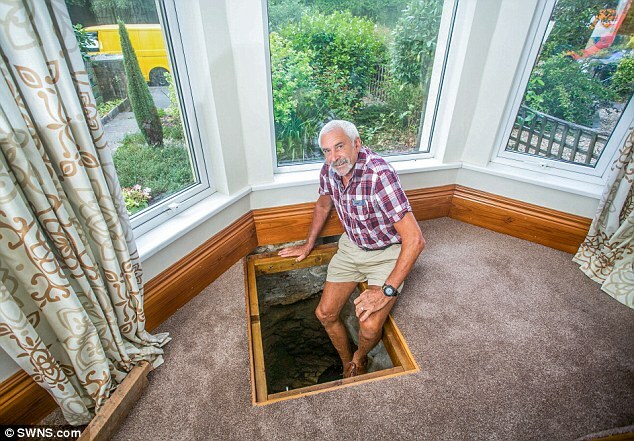 Colin Steer is a gold-digger with a difference: he’s spent years clearing out a medieval well hoping to ‘find a pot of gold’ at the bottom of it. 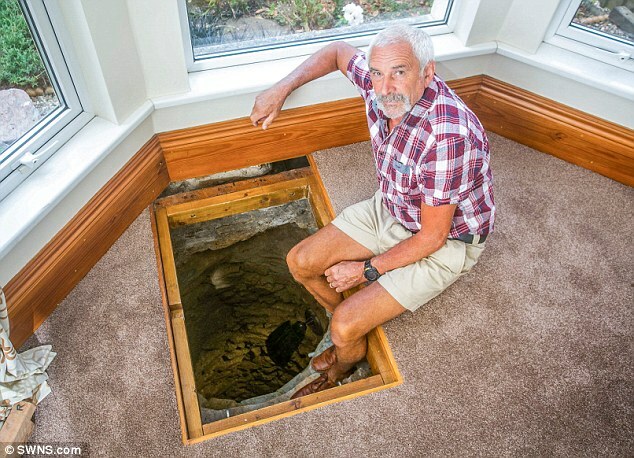 But the retiree is not searching for the precious metal in a mine – he’s delving deep into an old well he unearthed inside his own front room. Steer, 67, has eschewed normal retirement hobbies, such as gardening and travel, to devote many hours for his quest to find treasure. However, 17 feet into the 33ft-deep medieval well, all he has managed to unearth is a sword and, more worryingly, two German incendiary devices with his shovel, back in 2012. 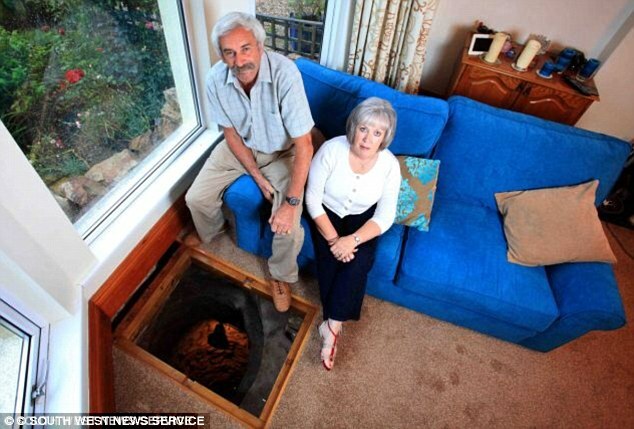 He and his wife, Vanessa, discovered they were sitting on a piece of history after uncovering the medieval well under their sofa. 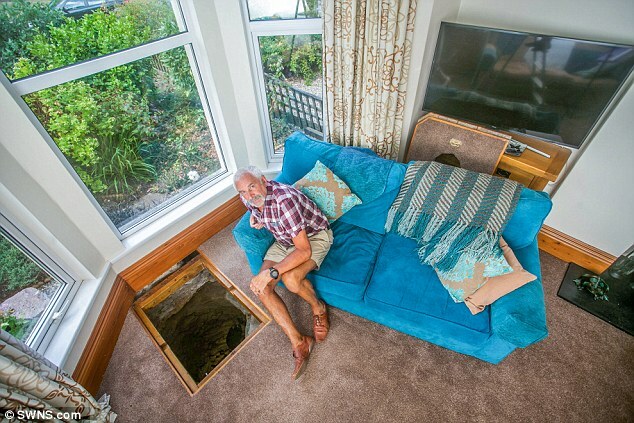 The couple moved into their Victorian home in Plymouth, Devon about 30 years ago, when they first noticed a slight indentation in the living room floor. 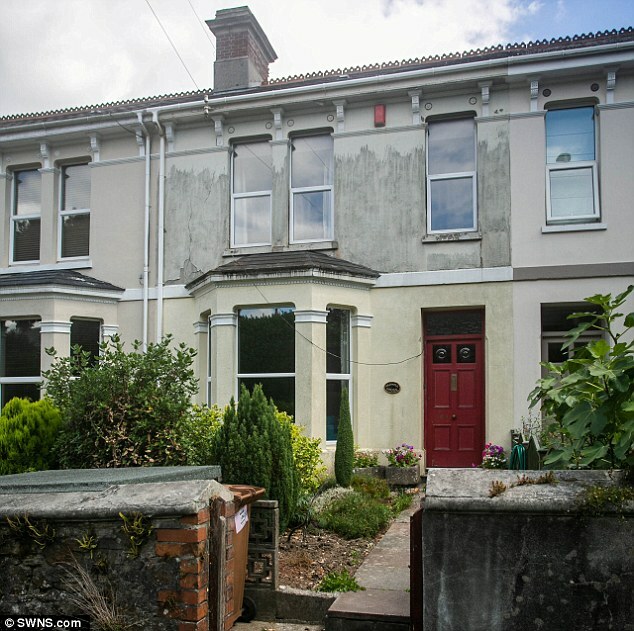 Steer, a former civil servant, said: ‘I was replacing the joists in the floor when I noticed a slight depression – it appeared to be filled in with the foundations of the house. 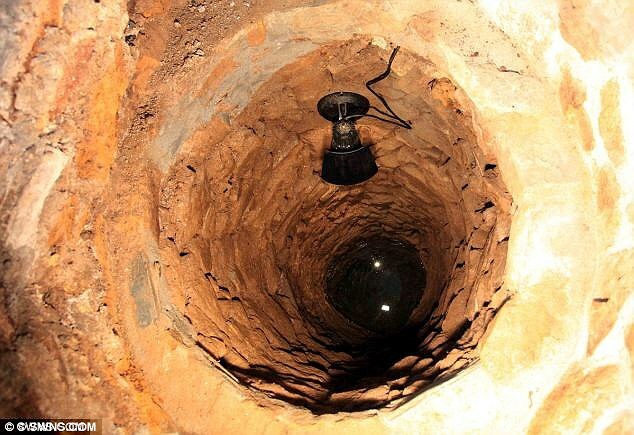 When his quirky hobby first featured on MailOnline six years ago, the retiree said that he was receiving a helping hand from a local man, and they spent three days clearing the well, which is around 30 inches wide, using a bucket on a rope to pull up the debris. Plans of the site show that the well dates back to at least the 16th century, just after the end of the medieval period. When five feet into the dig, he discovered an old wooden sword with a leather sheaf: ‘It was hidden at a 45 degree angle and sort of just fell out. 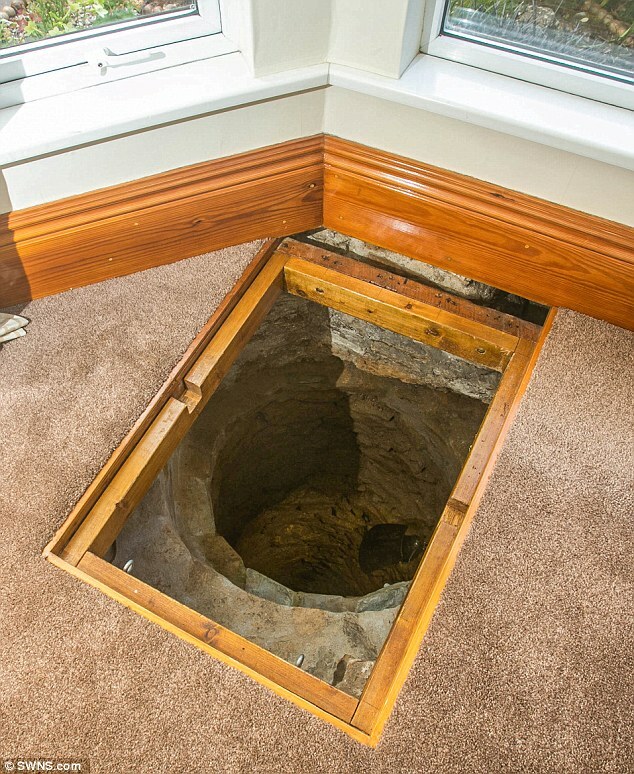 He put lighting in the well, tidied it up and built a trap-door into the living room floor for easy access. 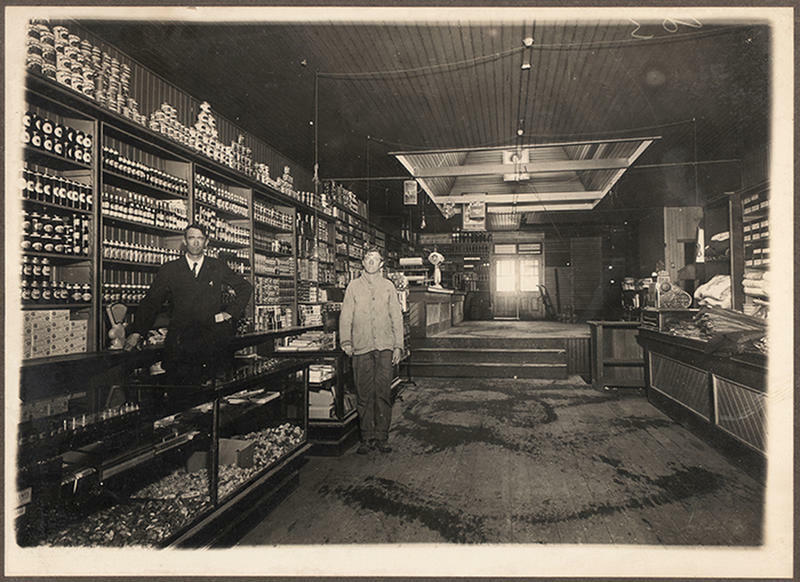 Steer said: ‘I’ve been doing lots of research into its history but I’d like to try and find someone to date it. ‘I’ve looked at old maps which showed Drake’s Leat (a watercourse constructed in the late 16th century) and illustrated the area was just woodland until this house was built in 1895. ‘I love the well and think it’s fascinating. I’d love to find out who was here before us. Six years on, he has told Plymouth Live that he has now hit the water table, and thinks the well will get wider, the closer to the bottom he gets. 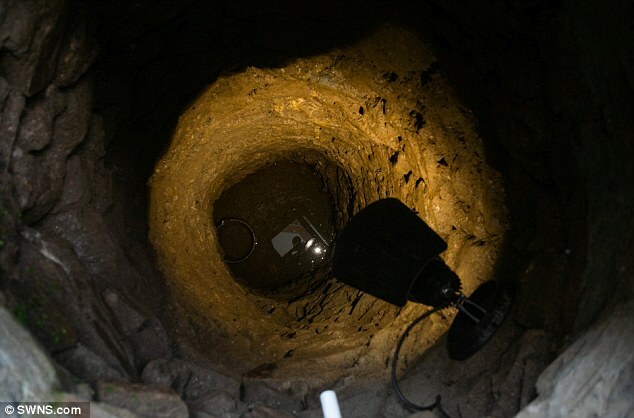 And he is still determined to find out what exactly is at the bottom of the well: 'I’d like to find something down the bottom, something to give me an age.